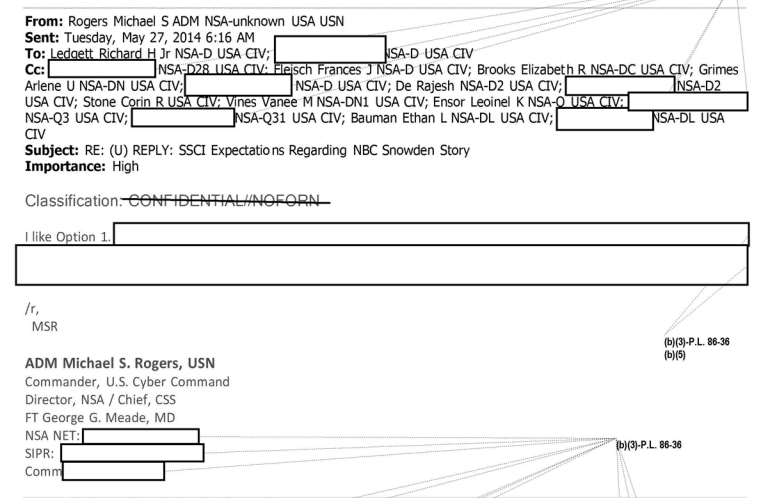 Earlier this month, the NSA declassified a huge set of internal e-mails, following FOIA-requests about the issue of whether Edward Snowden had raised concerns about the NSA's surveillance programs through proper channels inside the agency. 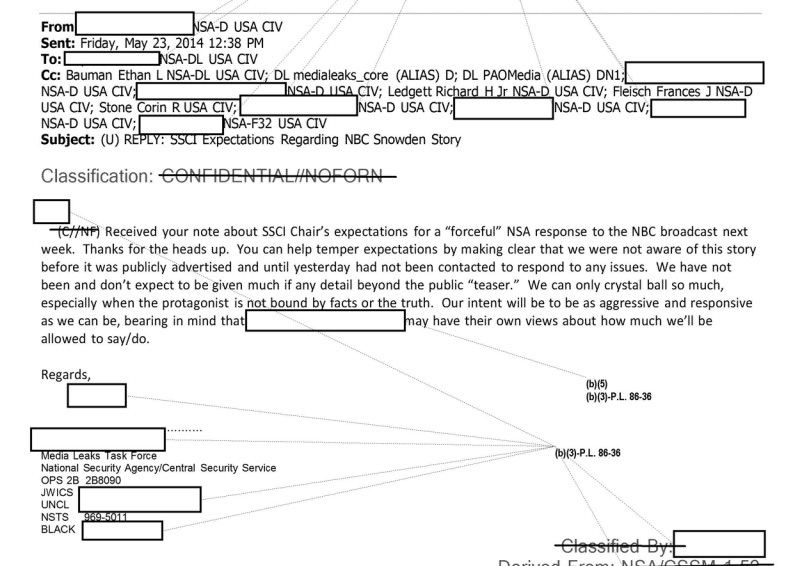 Except from the classification markings, the NSA's internal e-mails aren't very different from those exchanged by most other people around the world. 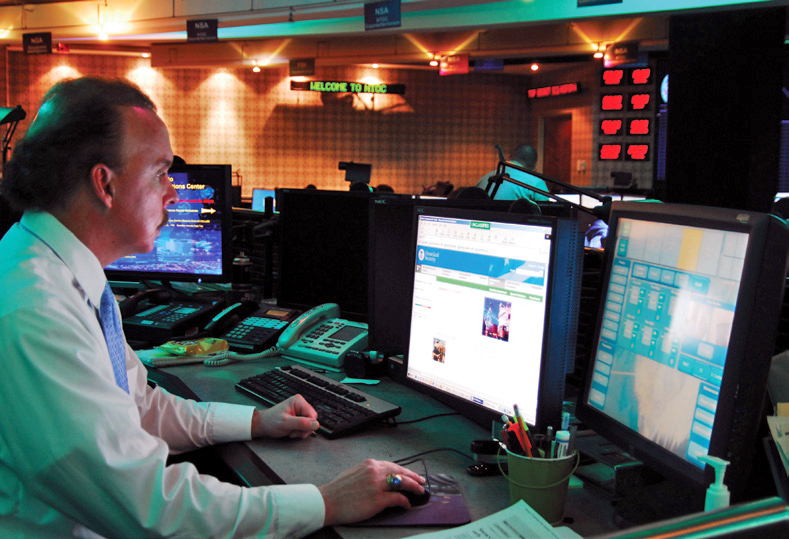 But they do show for example some details about the internal communications networks of the agency. For e-mail, all NSA employees have display names in a standardized format: first comes their family name, given name and middle initial, sometimes followed by "Jr" or a high military rank. Then follows "NSA" and the proper organizational designator, then "USA" for their nationality and finally "CIV" for civilian employees, "CTR" for contractors, "USN" for Navy, "USA" for Army or "USAF" for Air Force members. The organizational designator FHX4 is interesting. FH stands for Field station Hawaii, but X4, being unit 4 of division X, is still a mystery. The field station divisions have the same designators as those at NSA headquarters, where there's also a division X, but so far no document gave an indication what it does. 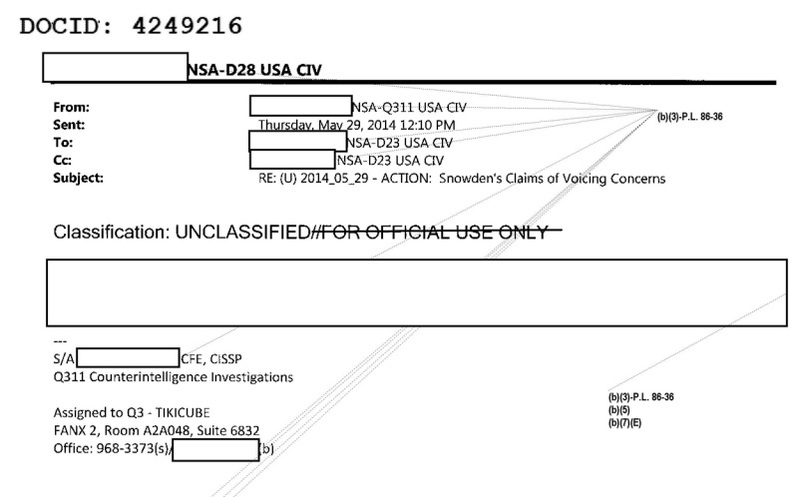 The signature block shows that Snowden worked as a systems administrator for Dell's Advanced Solutions Group and that he was deployed at the Technology Department of NSA's Cryptologic Center in Hawaii, more specifically at the Office of Information Sharing. The latter has the organizational designator (F)HT322 and is therefore different from that in Snowden's display name. 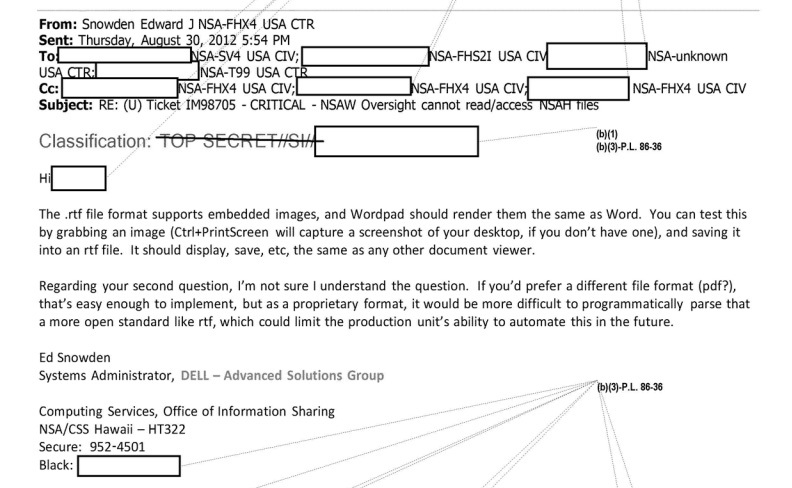 Finally, the signature blocks of some NSA employees also provide a link to their dropbox for sending them files that may be too large for e-mail. Such dropboxes have addresses like "http://urn.nsa.ic.gov/dropbox/[...]". - NSTS, which stands for National Secure Telephone System and is NSA's internal telephone network for secure calls. Numbers for this network have the format 969-8765 and are often marked with "(s)" for "secure"
- STE, which stands for Secure Terminal Equipment, being a telephone device capable of encrypting phone calls on its own. Telephone numbers can be written in the format (301) 234-5678 or as STE 9876. - BLACK, CMCL or Commercial, which are numbers for non-secure telephones that may also access the public telephone network. They have the regular format (301) 234-5678 and are often marked with "(b)" for "black" (as opposed to "red") or with "(u)" for unclassified. TIKICUBE appears to be a unit of the Investigations Division Q3. Whether this might be a special unit investigating the Snowden leak isn't clear though. Peter, weer een genoegen jouw resultaten te lezen.